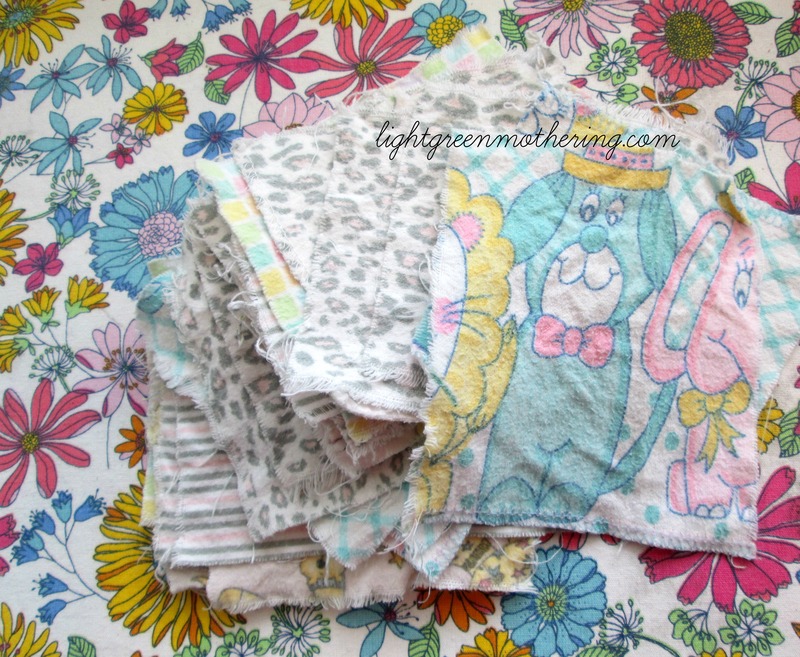 DIY No Sew Cloth Baby Wipes. At last! I am finishing my DIY series on homemade cloth baby wipes. 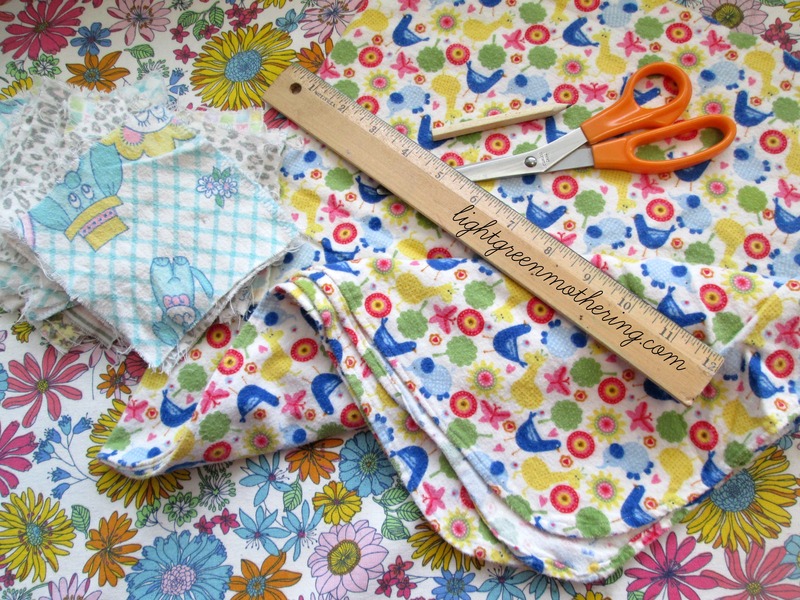 Today I will share with you the super easy no sew way to make your own simple cloth baby wipes. Seriously, this is so easy! I started making these after researching what was in my daughters conventional disposable wipes. You can read more about that here. You can make these for next to nothing. I used old receiving blankets we were no longer using and also a few I found while thrifting (old ones are expecially good because they are super soft). Step 1: Decide how big you want your wipes. Since we EC, we don’t have a ton of clean up so ours our approximately 4″x5″. *NOTE* If you choose to use these on the go, you might measure your wipe case so that they fit properly. 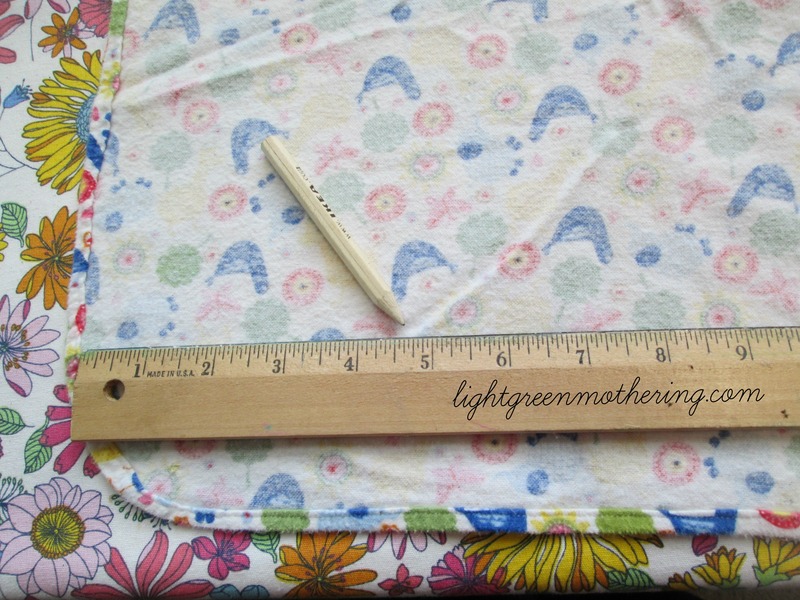 Step 2: Simply measure out all of your squares on the back side of your blanket. Step 3: Cut out your wipes. Step 4: Wash and dry your wipes and trim/pull off all loose threads. You could also hem the edges, but I chose not to and after the first few washes they stopped shedding threads. Step 5: Use in conjunction with Homemade Natural Wipe Solution for a clean tushie every potty break or diaper change. Below is a photo of a few of the wipes I have been using in heavy rotation in our home for the past year. They are not the most beautiful wipes, but they have held up quite well for no sew if you ask me. And really, you are wiping butts with them so how pretty do they really need to be? This entry was posted in lightgreen baby, lightgreen DIY, Uncategorized and tagged all natural, baby, baby wipes, cloth baby wipes, cloth wipes, diaper, DIY, recycle, reusable by lightgreenmom. Bookmark the permalink. I’m really glad that I came across this. I think I confused flannel and microfiber because I bought a bunch of flannel for no-sew wipes then I was told that I have to serve the edges or they fray and you only get about 6 uses from each wipe before they need to be tossed. I simply don’t want to sew them. That’s that! So, how long have you been using them; do you need to replace them; and if so, how often? Thanks so much!